Your message has been sent to National Courier . Like authorSTREAM? Give us a +1! 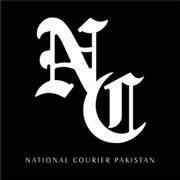 Daily National Courier is covering all international and national political developments and providing latest stories on almost all subjects on regular basis. Our vision is to be a leader in the market of print media in the years ahead. All Latest News, Breaking News, Pakistan News, News Updates, Business News, Sports.